Penniless and estranged from her wealthy family in New Orleans, Widow Do a Melissa Bertrand de Cabrillo must barter her way from California to Louisiana in order to save her niece, even if it means posing as the wife of a perfect stranger. 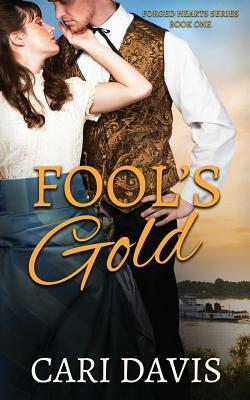 Gold miner and banker Sebastian Henderson needs to find a wife soon . . . or at least a woman willing to play the role. Do a Melissa provides the perfect solution, but sharing a cabin with the tempting southern belle proves more challenging than their bargain--and more dangerous--after a passenger aboard their steamship is murdered. Melissa is convinced the death is connected to her family's events in New Orleans. Thrown together by necessity, united by love, Melissa and Sebastian must unravel a murderous scheme threatening to tear them apart.